By default, Smart Wishlist gets hooked to /a/wishlist relative URL on any store. This means that the My Wishlist page can be accessed by visiting www.yourstore.com/a/wishlist. 2. 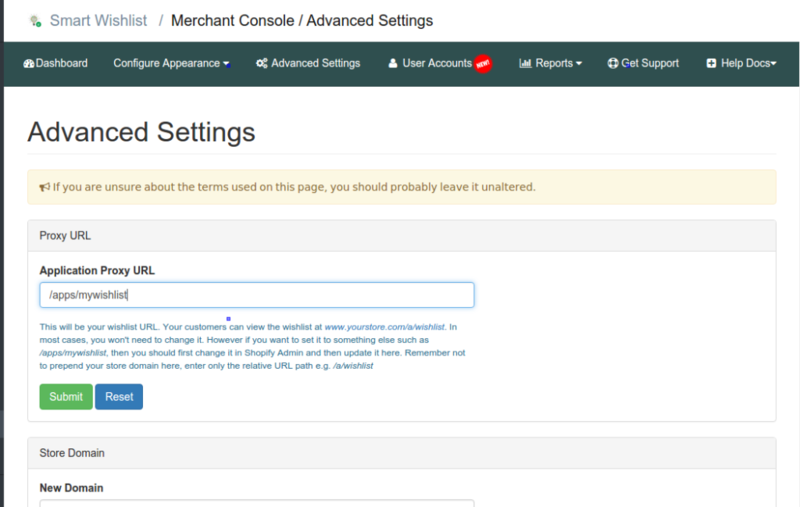 Locate Smart Wishlist and click View Details link in front of it. A popup shall appear. 3. At the bottom of popup you shall find EDIT PROXY URL, which has two components. The first component can have only four values ‘a‘, ‘apps‘, ‘tools‘ and ‘community‘. Select whatever you want to use. For our example, we will choose ‘apps‘. The second component can be any string. It is up to you to give it a meaningful name. For our example we will choose ‘mywishlist‘. 5. Now click on the link titled Smart Wishlist on the same page. 6. 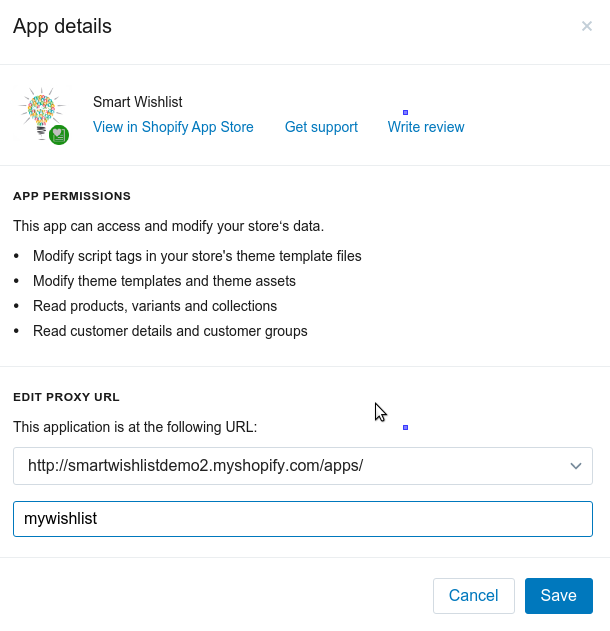 Under Advanced Settings, look for Application Proxy URL and enter the new relative URL (/apps/mywishlist) in place of default relative URL (/a/wishlist).